GOVERNMENT TEACHER: 7th Pagarpanch:- Central government 1/7/2016 thi 1% D.A...! Click below. 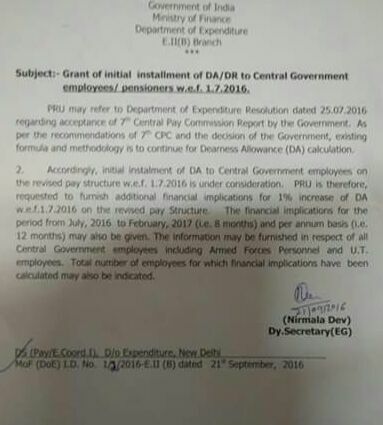 7th Pagarpanch:- Central government 1/7/2016 thi 1% D.A...! Click below.